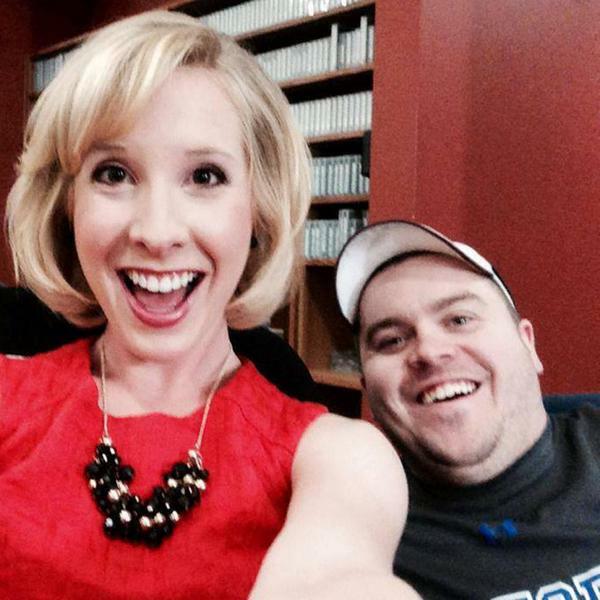 I just watched the video of the on-air shooting that happened over Virginia’s airwaves on WDBJ. A disgruntled employee of the station shot and killed a 24-year-old reporter named Allison Parker, and a 27-year-old cameraman, Adam Ward. The cameraman’s producer was his fiancé. and she was in charge of the segment. This thread on Reddit has more. The pain runs deep. It is horrifying. I won’t link the video here, and I don’t recommend viewing it. I wish I hadn’t. I was caught off guard. The pastors were just talking about how we seek out violent entertainment and we were wondering what violent shows like Walking Dead and Game of Thrones do to our souls; the effects of consuming violence become more evident when we see something real happen. I suppose we aren’t that desensitized, or at least I’m not. I’m still in shock about what happened and I can relate to those who feel confused about what to do. The shooter, Bryce Williams (a.k.a. Vester Flanagan), planned and choreographed the moment according to the AP. Apparently the viral spread of the video that Williams posted is the kind of notoriety he wanted. He subsequently has killed himself. Lord, have mercy! And in these moments, when we see humanity at its darkest, it is easy to be in despair wondering where God is and the church are. The church has been so neutered by the state, it can be hard to hear its voice. Protected maybe, but irrelevant. So it’s not surprising then that some of us don’t even wonder about God first. We turn to our idol. Since I am sometimes politically minded, I consider policy solutions. I am still under the spell of statecraft, thinking that the most significant agent of change is the government. Would this had happened if we had sensible gun laws in the U.S.? I’m not sure, and it seems to me like how easy it is to access deadly weapons in the U.S. is majorly problematic. the cracks. We cannot legislate salvation. We can legalize transformation. In fact, Paul wrote his letters to the Romans and Galatians all about that very subject. The law will never save us. Only Jesus will. The law doesn’t work, only Jesus works. significantly). Violence, hatred, and vengeance are the result of the evil in the world that Jesus specializes in eradicating. He needs to eradicate it from our hearts too. Violence as a solution to a problem is undone by our suffering servant, by the Prince of Peace, who submitted to violence on the cross to save us. You can have the best justice system, but only Jesus will bring the kind of forgiveness and reconciliation that can cause the families of the victims to forgive the killer. Forgiveness is so impractical, so illogical, so foolish it seems, but it is only that irrational forgiveness that Jesus demonstrated to his own crucifiers that saves us. And it is only relating to Jesus that will transform us to do that irrational thing. You can have the best rehabilitation facilities, but without Jesus, true transformation can’t happen. We are all wicked. I don’t think we were created that way, and even I do not think our fallen selves are fundamentally evil even, but the distortion is obvious. Jesus remakes us and restores us to himself. There are a lot of things that can be done to prevent tragedies like this from happening—deadly shootings happen in the U.S. far too often. But beyond even the best policy though is the transformation of Christ. In a moment of darkness, I hold on to his unending hope, that has save me time and again, more than I do even the best laws.